Nanny or Day Care: Which Choice is Right for you Family? As a Nanny Agency owner and veteran nanny employer, I am obviously a bit partial to hiring a nanny. However, I realize that this option is not the perfect solution for every family, so I want to provide you with items to consider as you decide whether to choose a day care center or have your child(ren) at home with a nanny. In all cases, you will want an option with suitable hours for your schedule, fees that are within your budget, and a location/arrangement that is convenient for your family. You want your child(ren) to be happy, comfortable, and treated as individuals. You will want peace of mind with caregivers that are well trained, experienced, and background checked. As you interview the various companies/centers, we encourage you to educate yourself further by asking detailed questions such as the following. What is your average employee turnover? What experience/education do you require of your caregivers? What are your prices? Is there a price break for multiple children? What are your cleaning/sanitizing procedures? What do you require of your caregivers? What does your reference checking entail? What does your background check encompass? Do you have a sample Employment Agreement/Contract? What training/education do you offer your caregivers? Do you offer any continuing professional development for your caregivers? Do I have a replacement guarantee? Do you offer any back-up services? What are the tax implications of having an in-home caregiver? If, after carefully considering your options, you decide that a nanny is a better option for you, you may wonder if hiring a nanny on your own would be a cheaper, easier option. However, please be sure to consider the peace of mind, thorough screening, and long-term success that an agency offers. If families are willing to do all of the legwork of recruiting, sifting through resumes, and finding a strong nanny candidate, we also offer several “Do-It-Yourself” screening/hiring packages that will offer you additional peace of mind. 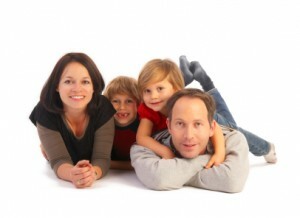 Please feel free to contact us with any questions about our full nanny services or the do-it-yourself options.